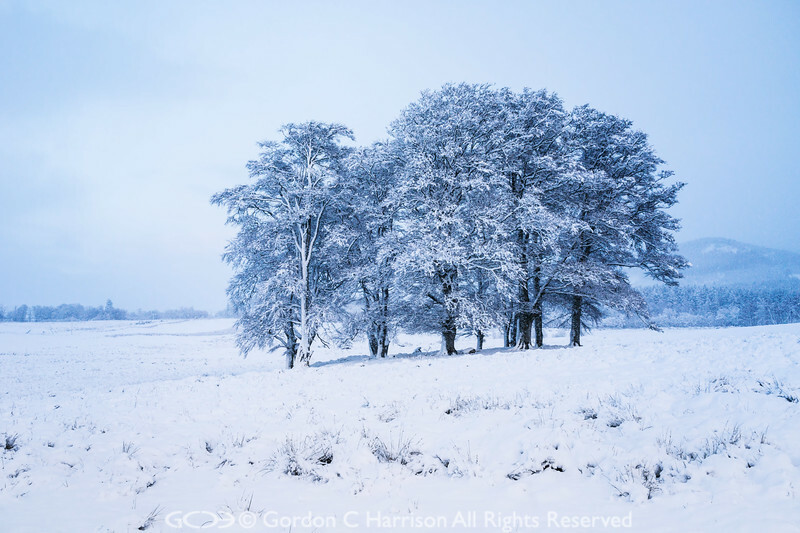 On this cold winter's day it seems as if these trees are huddled together for comfort! Although I had oftened passed by them on previous walks the snow gave them a much greater sense of isolation. I think it was this feeling that prompted me on this one occasion to photograph them.